Home » О праве » Are You A Model Swiss Citizen? The government of Switzerland is placing more emphasis on integration as a key factor in granting Swiss residency permits. Some of the basic requirements include respecting public security and order, upholding the values of the constitution and speaking one of the official national languages to the required level. Many wonder why such a change is abruptly introduced, the decision was made by the Swiss parliament, which decided to revise the ‘foreigners law.’ The changes mean that long term C-permits will only be given to law-abiding citizens who demonstrate the ability to integrate successfully. Those who currently hold a C-permit are not immune, they are liable to have it taken away if they violate public law and order, or become reliant on social benefits on a long-term basis. Furthermore current C-permit holders who have a residency right for more than 15 years could have their permit revoked entirely or downgraded to a medium B permit if they are not demonstrating that they are law abiding citizens. 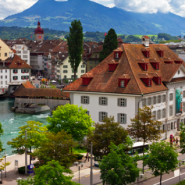 “The new foreigners and integration law does not lay down how a model Swiss citizen should be, it simply defines among other things under what circumstances a residence permit can be obtained,” said Lukas Rieder spokesman for the State Secretariat for Migration. Some might question what values constitute to being a law-abiding citizen. Rieder says that the Swiss cabinet has more serious issues in mind including whether you are currently facing legal proceedings, owe debt, or have generally done something that requires you being put on record. Among the key values for integration is respecting and upholding the constitution, Rieder says this includes basic values such as sexual equality, freedom of religion, all people being equal before the law and the right to personal freedom, along with freedom of opinion and information and the right to privacy. Family reunification procedures will also have more stringent requirements; those who are dependant on social security benefits will not be allowed to have their family join them if they draw more social security benefits. Currently those allowed to bring family members into Switzerland are only allowed to do so after three years, these conditions will remain. Additionally they will be required to have enough space for accommodation and not depend entirely on social welfare. By revamping the foreigners’ law, politicians hope to encourage more people to integrate and feel part of the Swiss society. Integration will also help refugees, people with temporary permits, and asylum seekers to feel included and part of the Swiss society.